Sign up for $99 and bring a friend along for free! Find your Inner Warrior with Jemma Jeffs of Yoga Rhapsody. Discover confidence to move your body safely, with practical advice and tools for finding stillness and space in your daily life. Pranayama (breathing techniques) - Connecting body and mind. Begin to cultivate focus, observation, awareness and compassion for self. Asana (physical shapes) - Moving the body in a way that dynamically challenges your strength, flexibility and balance. Please be mindful that spaces are limited so get in quick to ensure you don't miss out. *This Beginner's course is 2 for 1, you are invited to bring a friend along. 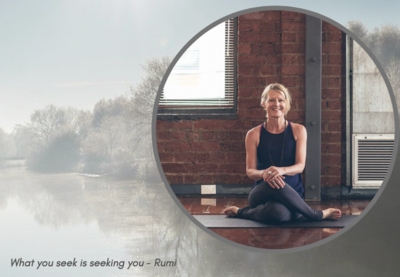 Sign yourself up online and then email marketing@hotyogawellington.co.nz with the name and contact details of your friend. Any issues or questions about the registration don't hesitate to get in touch. As a teacher it is our job to guide the practice intentionally, leading the student into a deeper awareness of the physical body. 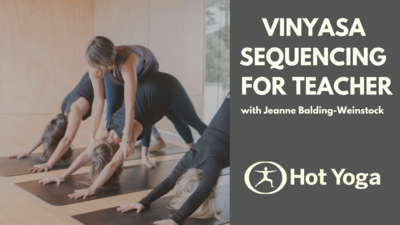 Support yourself as a teacher with sequences that build poses effectively, reduce the risk of injury, and overall enhance the student's experience of the class. Through work in groups, we’ll create our own template to use as a foundation for future classes so you can teach with confidence. About Jeanne: I am passionate about practicing and teaching vinyasa yoga. I love the weaving together of breath, mindfulness and movement and the balance of strength and flexibility it creates. I have been teaching Yoga for 8 years in California and New Zealand at Hot Yoga Wellington, Lower Hutt and Pause Yoga. I also founded Kula Yoga and have been teaching to children, teens, and adults, bringing the ancient wisdom of yoga to modern yogis of all ages and abilities. Vinyasa is my passion and practice of choice. I received my 200-hour RYT training with Kaya Yoga in Davis, California with a focus on vinyasa yoga, philosophy and pranayama. An eager student, I have also studied with leaders in the field including Noah Maze, Tiffany Cruikshank, Maty Ezraty, and Amy Ippoletti, Joe Barnett. I glean wisdom from teachers online like Doug Keller, Judith Laster and Leslie Howard. It’s an honour to share this love of yoga with you in this workshop. There are so many choices available to parents these days for extra-curricular physical activity for children, so why choose kids yoga over other physical/movement-based classes? Kid’s yoga goes beyond getting kids physically active and healthy. Kids Yoga NZ Instructors strive to maintain a balance between spontaneity and structure - so that children of all ages participating in the class learn to listen to themselves (and each other) and express themselves creatively. The mix of stories, song, games, music, mindfulness and yoga poses creates a multi-sensory, tactile environment, where children develop through kinesthetic, visual, and aural learning. 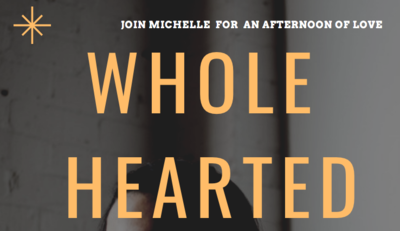 In this 2.5hour workshop, we'll move through all-levels yin and yang yoga shapes, a heart meditation and interactive group practices to connect inwards and outwards. Ease yourself into this time of kindness, compassion and connection and honour what is close to your heart. Ready to grow your smile? To spark your magic? To join us? mats and materials are provided. feel free to bring your own mat, your journal and an eye pillow if you have. This trip is limited to 15 people only. Two twin share rooms available and will be sold on a first in first served basis. A non-refundable deposit of $250 per person. Final payment due 31st July 2019. Flights are on Air NZ, departing 9 am Arriving Queenstown 10:30 and returning 2:10 pm arriving Wellington 3:30 pm Flights are non-transferrable and non-refundable.